Glastonbury tickets go on sale next week, we’ve all become obsessed with the hedonism of Burning Man and people are already feeding on Pot Noodle morning, noon and night to pay for 2017’s summer festivals. Just be warned, your festival choice says a lot about you. So take a moment to consider buying a ticket to the most badass festival in town: Wasteland. The world’s largest post-apocalyptic festival descends on the Mojave desert, California, at the end of every summer. 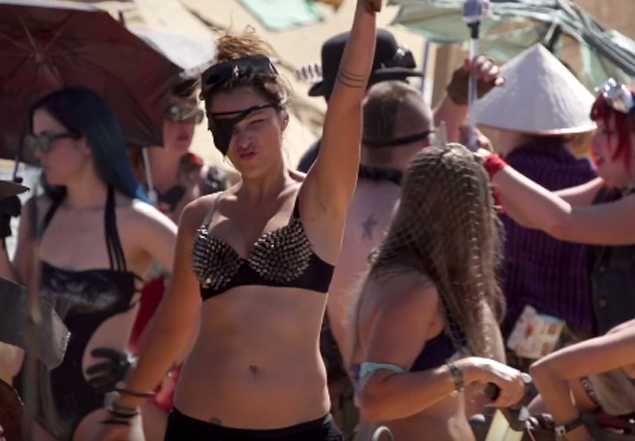 Jumping straight off the mood boards of Mad Max: Fury Road, 2,500 costumed revellers in their hoards and tribes, like the Skulduggers and Vermin Vagabonds, take over the desert for a weekend of furious hedonism. Between the apocalyptic car mods, an extreme musical line up of DJs and heavy metal sounds, the immersive and mandatory costumes, and the full-contact Gladiator-style fighting events, Wasteland is not for the fainthearted. If there ever was a festival at which you could let your inner Mr Hyde out to play, this is it. Let’s just hope your dancing shoes are up to the task.